We ignore a lot of things in the daily hustle and bustle of life and our health is the first among them. Hence, when it comes to dealing with hormonal imbalance, we need to be extra careful as it is one of the most common women health issues these days. Most of us do not even understand that something is wrong until we start getting weird symptoms. And when we finally start caring for it, things become tough to manage. But is it really possible to balance our hormones naturally? Yes, it is possible and we tell you how. Keep reading to know more about hormonal imbalance and its natural treatment. You could probably be doing everything right in your life. Having balanced meals on time, exercising regularly to burn away extra calories, drinking enough water, and getting enough sleep. But you probably still are gaining weight, breaking out, experiencing mood swings, or having irregular periods. The underlying cause of this could be a hormonal imbalance that has become prevalent these days due to our uncontrolled lifestyle. Being the chemical messengers of our body, hormones regulate our major biological as well as physical processes including growth, metabolism, reproduction, mood, and even sexual functions. They are produced by the endocrine glands in our body. Cholesterol and good fats are used for this purpose. So, if you do not provide proper nutrients to your body, endocrine gland(s) produce too little or too much of hormones, thereby causing a hormonal imbalance. This, eventually, affects the normal functionalities of our body. Abnormal production of hormones is the primary trigger of hormonal imbalance in the body. But there is a wide range of health and medical conditions that can affect the secretion of our endocrine glands. These are a nutrient deficiency (a diet low in vitamins like B-complex, vitamin C, and minerals), eating disorders, diabetes, PCOS (Polycystic Ovarian Syndrome), primary ovarian insufficiency, menopause, pregnancy, hyperthyroidism, hypothyroidism, thyroiditis, hypogonadism, and so on. Some other factors responsible for hormonal imbalance include tumor and cancer treatments, hormone therapy, use of contraceptive pills, breastfeeding, trauma, injury, stress, and application of certain medications. Not everybody shows the same symptoms of hormonal imbalance. It depends solely on the type of endocrine gland that is working abnormally, which is usually different for women, men, and kids. Some of the most common symptoms of hormonal imbalance experienced by women are sudden weight gain or weight loss, weakened muscles, joint pain, joint stiffness, constipation, diarrhea, decreased libido, infertility, frequent urination, heat and cold sensitivity, fatigue, sweating, increased thirst, depression, anxiety, dry skin, purple stretch marks, hair thinning, puffy face, and blurred vision. Cut down on the consumption of processed food. While buying your groceries, make sure that you choose food available in their most natural forms only. Reduce your caffeine intake by switching to green tea. Avoid poly-saturated fatty acids like canola oil, margarine, and vegetable oils, which are basically either processed or chemically altered. Rather, opt for healthier oils like olive oil, coconut oil, butter, or ghee. If you are in a stressful job or constantly anxious about something in your life, it can cause a lot of hormonal imbalance in your body. Take to meditation to calm your nerves. Also, exercise to take your mind off the stress and boost the metabolism in your body. Get a good night’s sleep in order to give your body enough rest as well as time to repair itself each night. It has been found that disrupted sleeping patterns can cause acute hormonal imbalance in women, thereby suppressing ovulation significantly. Lack of sufficient sleep can also lead to other symptoms like stress, anxiety, and depression. Flax seeds are rich in omega-3 fatty acids and phytoestrogen. Omega-3 fatty acids are essential for the production of hormones in our body while phytoestrogen keeps the levels of estrogen under control by preventing it from binding to the receptors. The seeds play a key role in balancing female reproductive hormones by maintaining the correct progesterone to estrogen ratio. It also restores hormonal balance in thyroid, kidney, and pancreas. You can add flax seeds to your diet by sprinkling it over your breakfast cereals. Otherwise, add roasted flaxseed powder to your pancake batter or bread dough. 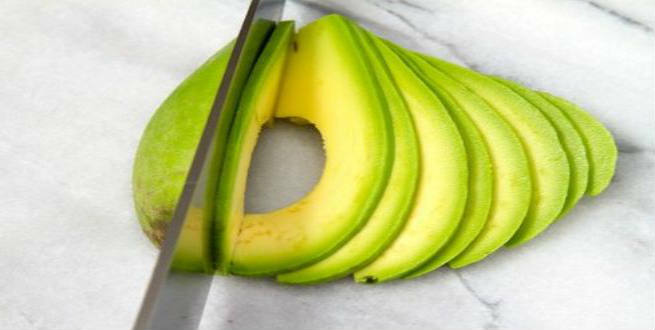 Avocados are rich in essential fatty acids, phytonutrients, vitamins, zinc, and potassium, all of which are needed to maintain the secretion of our hormones at the optimum levels. Being loaded with vitamin E and zinc, avocados can help keep up the health of the pituitary, thyroid, and ovaries. Include them in your regular diet as a part of salads or smoothies. Nuts are rich in monounsaturated fatty acids. They also come packed with proteins, antioxidants, minerals, vitamins B, and vitamin E. All of these are helpful in increasing the secretion of hormones in our body. Introduce nuts in your daily diet by adding them to your dishes or consuming them as a snack on the go. They are a great source of energy and can help keep you fit and bouncy too. Dandelion roots contain certain compounds called ‘taraxasterol’ and ‘taraxerol’, which help in balancing the levels of hormones in our body. In order to consume it, boil the roots in water, strain the liquid, and drink it up. However, fresh dandelion roots are not available in many countries. So, if you do not have access to the roots, find packaged dandelion root tea bags at your nearest grocer. Alfalfa is another plant, which is rich in phytoestrogens just like flax seeds. It also has plenty of magnesium, zinc, and amino acids needed to produce proteins. Therefore, consuming alfalfa eventually helps us produce hormones and maintain its levels in our body. You can consume it as sprouts, supplements, or tea. If none of the natural treatments work for you, go for a medical examination to understand what has triggered the hormonal imbalance in you. After a stint in an MNC in Bangalore, Aparna has now started doing what she loves the most- writing. Travelling and cooking come a close second and third. She lives in Mumbai with her husband.